The holiday town of See in Tyrol provides guests with a very well connected ski area, which extends up to 2450 metres altitude. Holiday-makers can get from the town centre, to the centre of this ski area via a contemporary 6-seater cable car which is operated by Bergbahnen See. 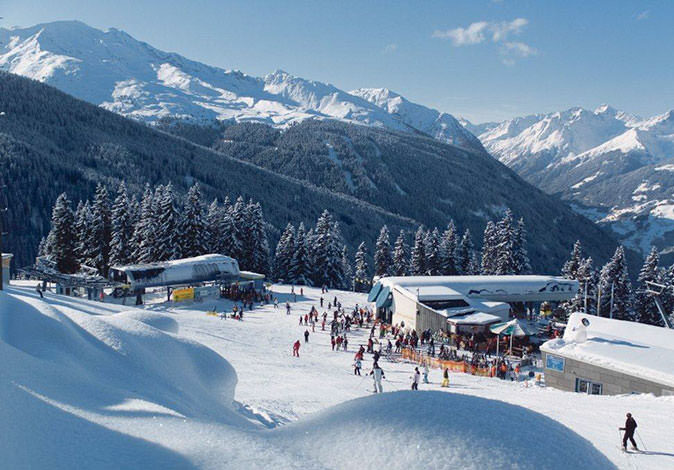 The pistes and facilities here provide superb conditions for skiing and snowboarding. 41 kilometres of pistes of all difficulty levels are available for skiing adventures. 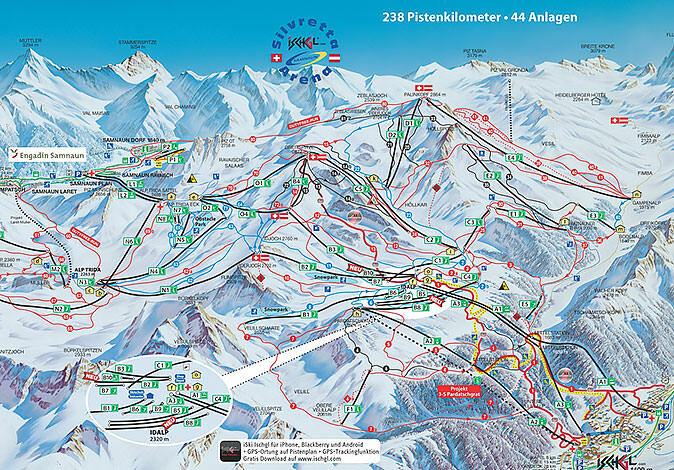 The piste map provides guests with an overview of individual pistes and facilities, along with other offers available in the ski area of See. For families with children and beginner skiers the extensive practice area is a hot tip. Young and old holiday-makers alike get to learn how to do their first turns in the snow and how to improve their own ski skills with qualified ski instructors from the ski school in See. For tots, a guest kindergarten has been set up next to the panorama restaurant at the mountain station. During a winter holiday in the ski area of See, night-time skiing also provides some action. The breath-taking "Fire on Ice Show", which includes fireworks, awaits holiday-makers and a wonderful Après-Ski ambiance in the Alpine lodges. This family-friendly ski resort in the town of See im Paznauntal opens with the new 8-person gondola hitherto undiscovered terrain and upgraded with the new SkyBar and an additional restaurant also gastronomically. The facts at a glance: 2,100 meters ropeway with a total capacity of 11,500 people per hour, a 25 hectare extensive ski area with 41 kilometers of piste up to to 2,500m. The new Versingbahn makes Mountain lake a special attraction richer, because that is not only another eight intermediate slope kilometers tapped - cableway offers for deep snow and off-piste skiers completely new opportunities away from the slopes. With the unique deep snow slopes below the Rotpleiskopfs (2,936 meters), which previously could only ski touring, the ski resorts in lake is now available for freeriders an Eldorado. And the new SkyBar and the Dormitory at 2,256 meters above sea level offer new possibilities to stop and rest. A village of 1500 souls; multi award-winning; much acclaimed - the Silvretta Arena, with 238 kilometres of pistes is today one of the most popular winter hot spots in Austria, indeed in the world. 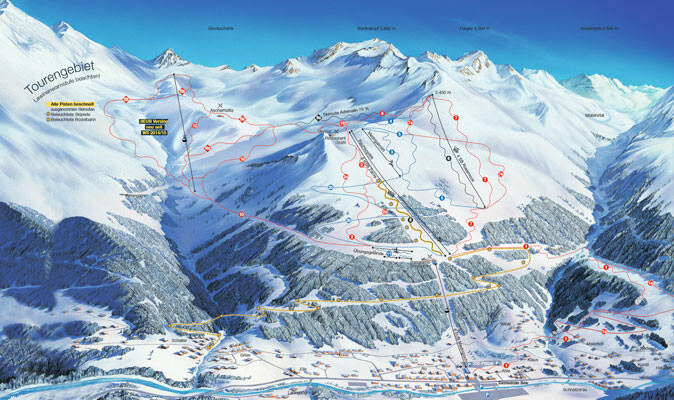 It’s no accident that this Tyrolean ski area is held in high regard internationally.